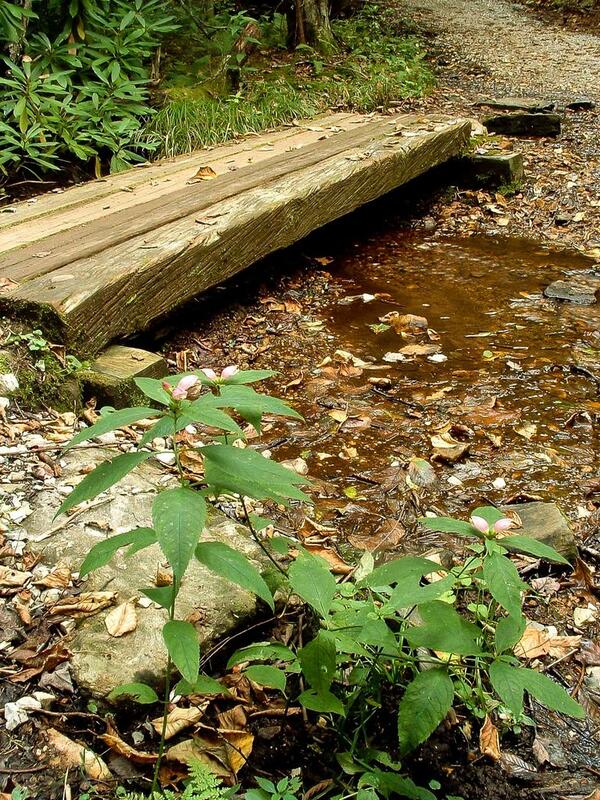 Once, while hiking this trail with my father in the crisp weather of late fall, we stopped here on this log bridge's predecessor, and inhaled the sharp, pungent odor that is so characteristic of the Southern Appalachian woods. It was silent, save for the trickle of this small tributary as it made its way down to Crabtree Creek. As we stood, in the distance, we heard a *snap*, and then the sound of a tree - it must have been enormous - coming crashing to the ground. I'll never forget it, and this warm sensory bath is what makes some of my best memories of hiking come from this particular trail. This is the perfect hike on which to really take your time and get to know the environment. There is such a variety of things to experience...I can't recommend enough that you go slowly on this hike. You won't regret it.